That's the end of our live updates for now. However, our main story on Brexit will continue to be updated with the latest news. But a statutory instrument - a piece of secondary legislation which will delay Brexit - is to be laid in Parliament "early next week"
Executive Director of BritishAmerican Business Emanuel Adam says Brexit uncertainty is "very, very frustrating and makes us worry what does the future hold for international business in the UK". Labour leader Jeremy Corbyn says there is a "degree of exasperation" in Europe and in Parliament about the way the PM has dealt with Brexit. He says he made it clear in Brussels yesterday that there is no support for Theresa May's deal, but there is support for other options. Mr Corbyn says Parliament may have a series of indicative votes on Wednesday afternoon next week - which he says it a "very promising way around the impasse". DUP deputy leader Nigel Dodds says the PM "missed an opportunity" at the EU summit to put forward proposals that could have "improved the prospects of an acceptable withdrawal agreement". He says "nothing has changed" in respect of the withdrawal agreement. "Nothing fundamentally turns on the formal ratification of documents which the Attorney General has already said do not change the risk of the UK being trapped in the backstop," he says. "The DUP has been very clear throughout that we want a deal which delivers on the referendum result and which works for all parts of the UK and for the EU as well. "But it must be a deal that protects the union. Speaking on the delay to Brexit, Taoiseach (Irish PM) Leo Varadkar says: "There won't be further extensions. "We've set out now what the timeline is and in many ways the European Union has taken control of the timeline, which in the past had been set by the UK." Mr Macron says "it is clear" the British people made a decision "without having all the information". He says Brexit was a "sovereign decision" that was "based on fake news". "All those people who spread that have disappeared from the political situation now," he says. European Council president Donald Tusk sums up the past two days. Nobody really knows what is going to happen in Parliament next week. But it is shaping up to be the most important few days in the Commons since May 1940, when the Norway debate effectively ended Neville Chamberlain's premiership and brought Winston Churchill to power. As MPs seek to grapple with Brexit, there could be important votes on Monday, Tuesday, Wednesday and Thursday. French President Emmanuel Macron says the EU "cannot remain paralysed" by Brexit. He says the Brexit delay agreement reached last night is a "good agreement" which "follows our principles". Mr Macron says the EU needs to protect its businesses and citizens and he wants an "orderly withdrawal". "We need to get out of this checkmate," he says. "A proposed rejection of the EU with no plan can only ever led to stalemate. "Here and now Brexit to me is not a technical negotiation at this stage it is a political lesson for us all." German Chancellor Angela Merkel has welcomed the decision on a Brexit delay. 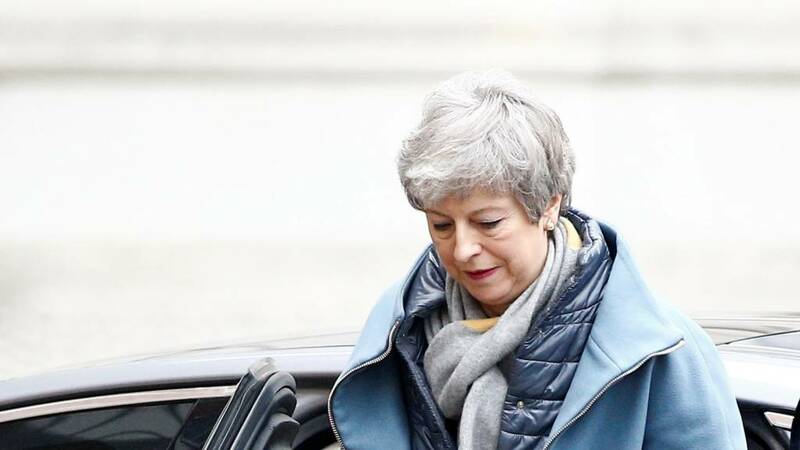 She tells reporters: "We have, for the time being, prevented a no-deal Brexit for the 29th. "But these are very short periods of time, so Britain will have to make clear yet again which path it wishes to pursue. "With the debate we had yesterday night, we proved yet again that what we have done for the past two years will continue to apply, because as 27 member states, we work together and act together." Asked whether the decision to delay Brexit had allowed Theresa May to "kick the can further down the road", European Commission president Jean-Claude Juncker says: "The road the can has in perspective is a very short one." He jokes about the themes of this week's talks on EU relations with the UK and China. "We did not talk only about the United Kingdom, but also about China," he says. "The discussion on China was easier than the discussion on the UK. "Not because China would like to join the EU, but because China isn't leaving." As many as six ministers are likely to write to No 10 to call for an inquiry into the leak.